Temple University announced the hiring of Manny Diaz as football coach on Dec. 13. Temple needs a head football coach again. Manny Diaz, who was hired on Dec. 12 to replace Geoff Collins as Owls coach, now must be replaced. The Associated Press reported late Sunday that Diaz has been hired as the head coach of Miami, the team he left for Temple after serving the last three seasons there as defensive coordinator. A Temple source confirmed that Diaz was gone. “We just have to regroup,” the Temple source said. On Sunday, Miami coach Mark Richt resigned after a 7-6 season that ended with a 35-3 loss to Wisconsin in the Pinstripe Bowl. Diaz coached in that game for the Hurricanes and was to take over his Temple duties after that. According to the Associated Press, Miami athletic director Blake James said Sunday afternoon that a nationwide search was on for a coach. Apparently it was a short search. Collins said a similar thing when he departed Temple after two seasons to become the head coach at Georgia Tech. According to the Temple source, there is a “significant” buyout that Miami will have to pay the Owls. Ed Foley served as the interim coach for the Owls, who lost to Duke, 56-27, in Tuesday’s Independence Bowl to finish 8-5. 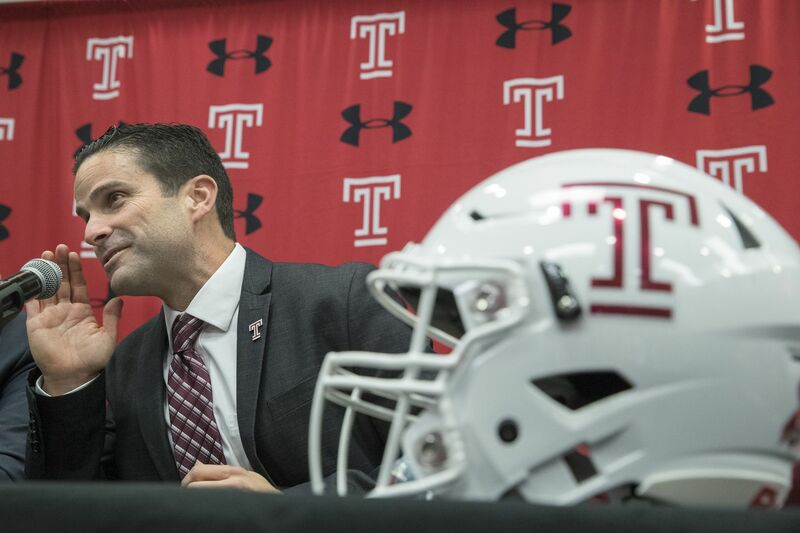 Under Diaz, Temple had retained strength and conditioning coach David Feeley and hired former Owls assistant Fran Brown to be the assistant head coach/co-defensive coordinator. Brown spent four years as an Owls assistant before joining former Temple head coach Matt Rhule as an assistant head coach/cornerbacks for the last two seasons at Baylor. A graduate of Camden who has long professed a love for the area, Brown, 35, interviewed for the Temple head coaching job that went to Diaz and would be a candidate to take over.